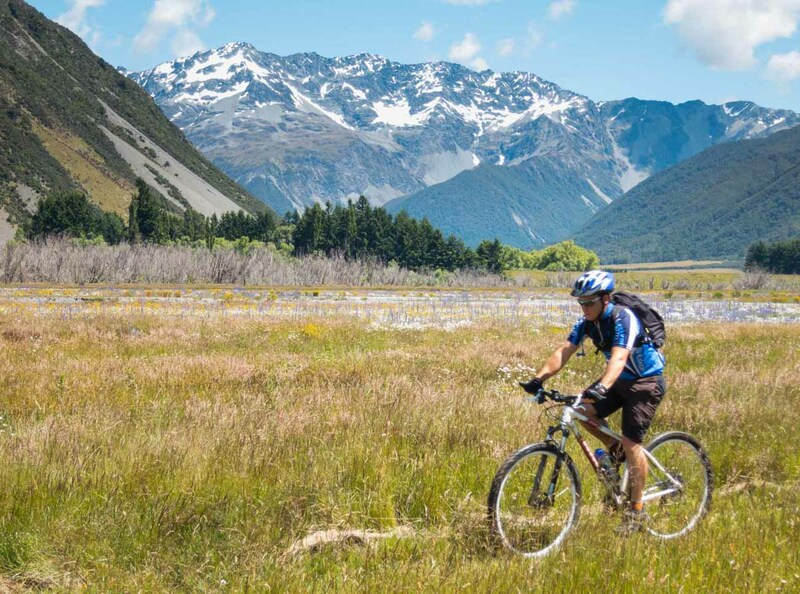 The St James Cycle Trail was officially opened in 2010 as the first of New Zealand’s great rides. 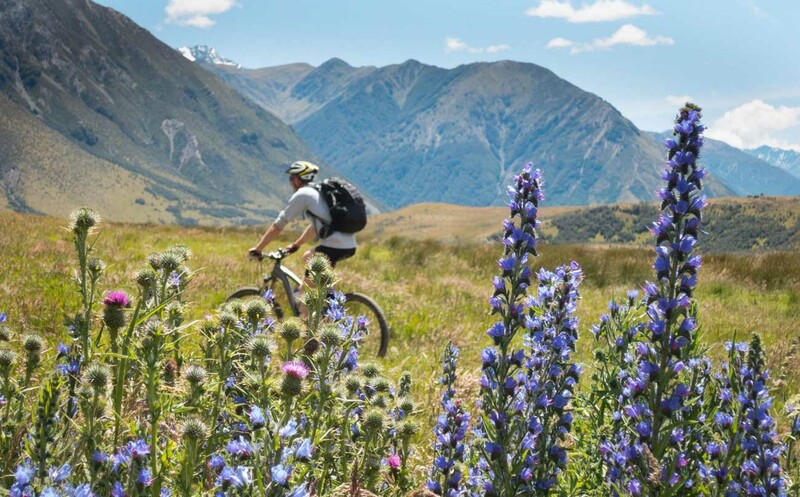 It is part of Nga Haerenga – the NZ Cycle Trail – which includes other glorious rides such as the Old Ghost Road, Dun Mountain Trail (Coppermine), and the Queen Charlotte Track. So what’s it like, this frontrunner of our ambitious cycleway project? Well, it’s certainly a memorable experience. The scenery is grandiose, awe-inspiring and even a little humbling. It’s big country terrain, with large peaks encircling the insubstantial human who dares to push pedal amongst such unforgiving surroundings. We undertook this 64km challenge by starting at the Maling Pass carpark beside Lake Tennyson. It was a hot summer’s day although snow still clung to the jagged Spenser Mountains – a subtle reminder of an alpine environment that could, in any season, rise up in icy fury against intruders. A wide variety of other riders were also starting out; families with young children as well as hard-core mountain bikers. The dusty road provided no gentle warm up. Immediately we were confronted by the trail’s longest climb, a 200 metre ascent up to Maling Pass (1300m). It wasn’t steep but the 10am sun was beating down and by the top we were already slurping at our Camelbaks. The views from here were spectacular. Below us the impending descent wound into the distance where it met the crystal clear Waiau River. Above soared Faerie Queen, Mt Una and other huge peaks. The 15 minute descent morphed into a mainly flat trail that ran beside the river. Herds of wild horses grazed grassy pastures amidst swathes of purple lupin. We took a short side trip to Lake Guyon where both brown trout and recuperating mountain biker lazed side by side. The trail continued to sidle the Waiau for about 30km with a couple of swing bridge crossings. Historic sites dating back to mustering days made for great meal spots (although the dilapidated Pool Hut was infested with bees). With 20km to go the trail departed the river and headed east towards the finish at the St James Homestead. Numerous stream crossings cooled the tootsies prior to one final uphill effort. Upon reaching the top we could see the barren landscape of Molesworth ahead and knew we were almost there. After 8 hours on the bike we had just one fast sweeping descent and we could put our feet up. Finally, the finish! We had completed the magnificent St James Cycle Trail. We were elated, but there was one problem – we still had an arduous 26 kilometer road ride back to the car! You don’t need to be a skilled mountain biker to complete the St James Cycle Trail. A sturdy bike and reasonable fitness are the main pre-requisites. There are a choice of huts along the way providing the option of extending the journey over a couple of days. 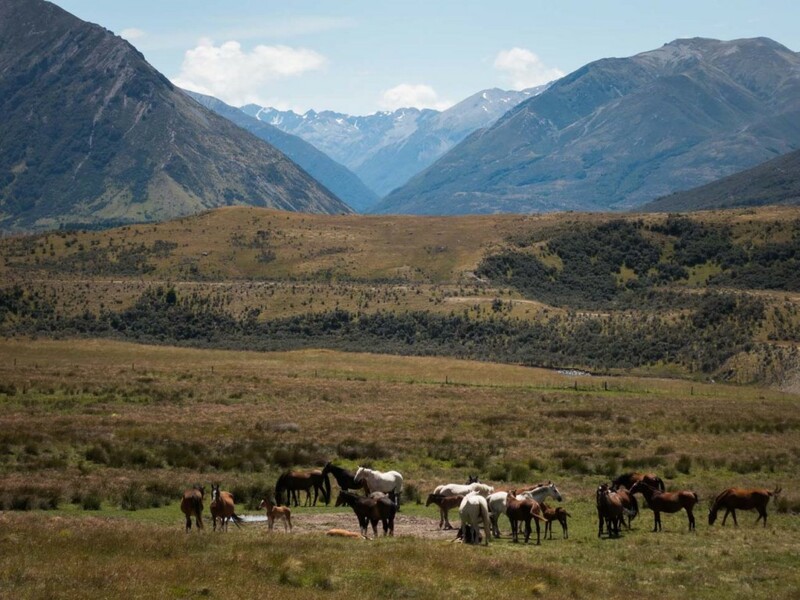 Maling Pass carpark can be accessed 35km north of Hanmer Springs. Alternatively you can travel via the Rainbow Road from State Highway 63. There is a $25 return fee per vehicle if using this route, payable at the caretaker’s house along the road.